Reinhold Glière first remains a man of tactfulness and everlasting diligence to us, his descendants. Our grandma used to say, ‘In any serious circumstance, all the five kids used to talk to their father only.’ He had hundreds of friends everywhere and nearly no enemy. That was probably the secret of his fruitfulness (more than 500 works of different kind), of his success in his private as well as in his public life, and his survival in the turbulent Russian and Soviet history. He avoided groveling before the big bosses and all his fears vanished when he was sentenced to be shot 15 times (!) during the Ukrainian Civil War 100 years ago and was eventually saved by his pupils. After this, he was able to create and enjoy life. Glière’s family has made many connections with France. To start with, Reinhold changed the spelling of his own surname from the German ‘Glier’ to the French ‘Glière’ at the beginning of his career. He later explained that he had done this because his ancestors had lived near the Plateau des Glières in France where they had produced horns. His granddaughter Senta Glière, who is the current supervisor of the composer’s heritage, speaks fluent French. In 2016, we started visiting our far relatives in the Rhone-Alps region in France and we have planned together substantial cultural projects to promote Reinhold Glière’s music. Reinhold Glière was born in Kiev but was of German-Polish heritage; he changed his surname from Glier to Glière in 1900, giving rise to the notion that he was of Gallic ancestry. His education began in Kiev before he embarked on studies at the Moscow Conservatory in 1894, learning composition with the likes of Arensky, Taneyev, and Ippolitov-Ivanov (who in turn had been taught by Rimsky-Korsakov). A few years after graduation came a move to Berlin, in 1905, but Glière returned to his roots both at the Kiev Conservatory (between 1913 and 1920), and back at the Moscow Conservatory (1920-41). His teaching career spanned some 40 years, and his students included Aram Khachaturian and the conductor Serge Koussevitzky. Glière’s works found favour with the Soviet authorities owing to their blend of nationalism and conservatism. Today, he is generally best known for his sumptuous orchestral and ballet scores, but his chamber works reward closer attention. Indeed, the composer himself was a violinist, and a chamber musician of some note. The title Albumblätter (‘Album Leaves’) usually puts the listener in mind of Robert Schumann’s Op.124, a set of character pieces which spawned numerous similar collections. Schumann’s influence must have been tangible in Berlin where, in 1910, Glière produced his 12 pieces for cello and piano under the same title, issued as his Op.51. Although, as with any set of character pieces, a handful may be selected for performance, all 12 work together as a complete set, unified by Glière’s sense of melody and drama, and by his evident delight in the cello’s vocal properties. No.1, ‘con moto’, is a blustery, wistful start to the set in which Glière achieves a remarkable depth of atmosphere within a short space of time. No.2 is dark-hued and, intriguingly, reminiscent of the chamber music of Cèsar Franck. In No.3 the cello articulates a solemn melody, accompanied by a chordal piano part. No.4 begins with the cello alone, its wide-ranging tune suggestive of an actor telling a story. There is an operatic quality to No.5, in which the melody is again shared between the two instruments, the cello’s lower register relished towards the end of the piece. No.6 has a folk-like manner, the cello’s double-stopped drone supporting the piano’s exotic melody, characterised by spicy Moorish inflections. The cello picks up the tune and the piano takes over the drone, the use of Eastern intervals a reminder that Russia’s vast expanse extends across Northern Asia. No.7 returns us to more conventionally Western terrain, with brief grace-notes reminding us of those folk-like flourishes in the preceding piece. After No.8’s fiery exchanges we hear the ‘cantabile’ No.9 – in which the cello certainly sings, answered in kind by the piano. In triple meter but with emphasis on the second beat of each bar, No.10 is a restrained and melancholic piece, with a waltzing central section of greater warmth. Those ‘Eastern winds’ can be felt again in No.11, the cello intoning a sinuous melody, and the collection ends with the powerful and virtuosic twelfth piece, marked ‘animato’. Glière’s Ballade, Op.4, was written somewhat earlier, in 1902, the year in which he took on two private students: Nikolai Miaskovsky, and one Sergei Prokofiev, aged only 11 at the time. The Ballade begins in richly nostalgic vein, the music gradually evolving into more turbulent material, culminating in a stormy climax. A cadenza-like section for cello alone leads us back into the initial atmosphere, the piano playing the melody, decorated by the cello. The two instruments intertwine and gradually the atmosphere softens. In contrast with the intensity of much of the work, and in common with the last of the Albumblätter, the ending is remarkably understated. Sergei Rachmaninov began his studies at the St Petersburg Conservatory in 1883, at the age of only ten. He then transferred to the Moscow Conservatory, where he shared lodgings with his teacher, Nikolai Zverev, and other students. Surrounded by the constant din of piano practice, Rachmaninov struggled to compose, and he was ejected after requesting more privacy. In a pattern that would recur throughout his career, Rachmaninov retreated to the countryside to compose, finding the quiet and solitude much more conducive to creativity. Some of the music written at this time, in the 1890s, included several pieces for cello and piano, written for himself and the celebrated cellist Anatoly Brandukov. Brandukov was 14 years Rachmaninov’s senior and a close friend; he went on to be best man at the composer’s wedding in 1902. Brandukov was also greatly admired by Tchaikovsky, and performed many of his cello works. The catastrophic premiere of Rachmaninov’s First Symphony in 1897 hit him hard, and he suffered a nervous breakdown; it took several years and extensive psychotherapy for his mental health to rally. When the Piano Concerto No.2 was premiered to great acclaim, Rachmaninov’s self-assurance grew – a newfound confidence which spurred him to compose his Sonata for Cello and Piano in G minor. Ironically, the popularity of the concerto overshadowed the sonata, but it remains his most beloved chamber work. Both pieces bear many of Rachmaninov’s most irresistible musical fingerprints: expansive melodic lines, aching nostalgia, and a sense of scope suggestive of the vast Russian landscape. The sonata – which turned out to be Rachmaninov’s final chamber work – was completed in the winter of 1901, and was premiered on 2nd December in Moscow by the work’s dedicatee, Brandukov, with the composer himself tackling the fiendish piano part. Indeed, Rachmaninov emphasised the equality of the two instruments in this work; the piano is not playing an accompanimental role but is in dialogue with the cello. This is a Sonata for Cello and Piano, not a “cello sonata”. It seems likely that Rachmaninov made some modifications after the work’s premiere, as he wrote “12 December 1901” on the score. The sonata is perfumed with the incense of the Russian Orthodox Church; Rachmaninov was profoundly influenced by the spacious sonorities of Russian choral music and by the sounds of bells, and these sonorities permeate the sonata. 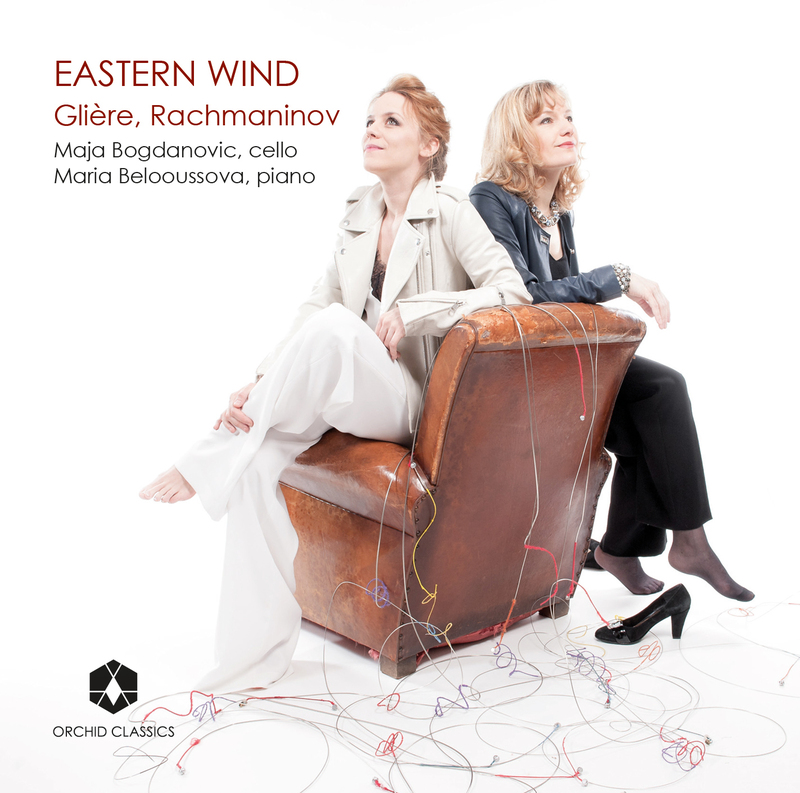 Yet there is something more seductive here, too – that heartfelt romance for which Rachmaninov has become so renowned. Whereas Tchaikovsky balked at combining the piano with stringed instruments owing to their very different timbres, Rachmaninov seems to have been quite at home with bringing these forces together. Throughout the work there is an orchestral quality to his textures which allows the instruments to collaborate in the most natural way. 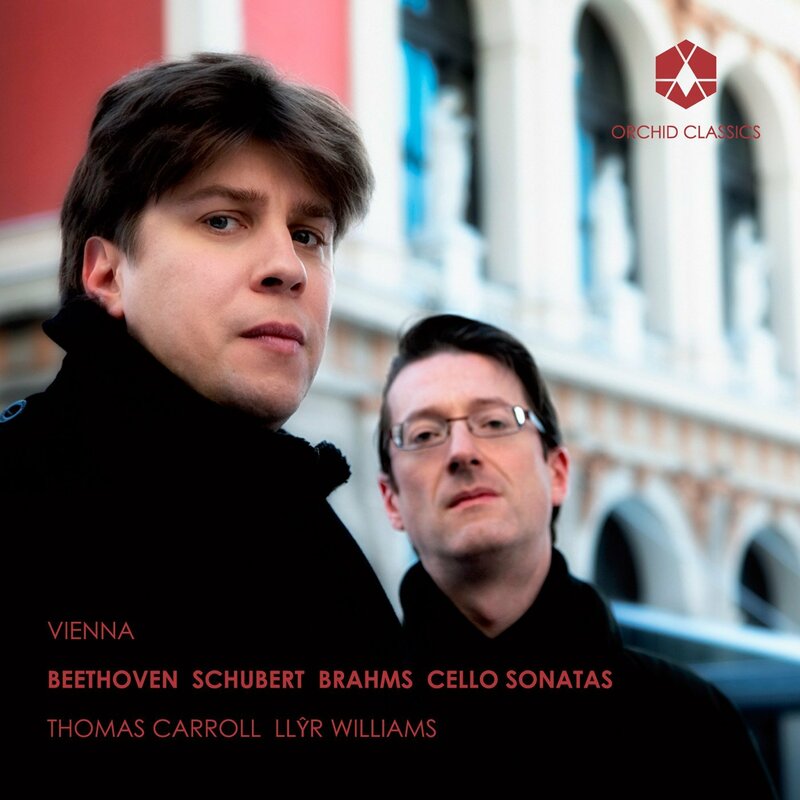 The expansive first movement opens with a Lento introduction, the cello intoning soulfully in the manner of a Russian Orthodox cantor, the piano articulating a six-note idea which will prove to be a crucial feature of the work. An animated Allegro moderato follows, its secondary theme a quintessential example of Rachmaninov’s impassioned lyricism. The ideas are explored in a tumultuous central development section, and are later whisked together in a whirlwind typical of the composer’s style, urging us onwards to the movement’s end. The Allegro scherzando begins with vigorous energy, more earnest than playful. These initial exchanges soon feel merely introductory when a fulsome melody blossoms from their earthy origins, Rachmaninov again enjoying the cello’s capacity for long-breathed melody, while the piano writing is reminiscent of that in the Second and Third Piano Concertos. We swiftly return to the rhythmical opening ideas, and a tussle between the two textures ensues. The beautiful Andante is the jewel in the sonata’s crown, again redolent of the glories of Rachmaninov’s Second Piano Concerto. We start with the piano unfolding a melody of great tenderness, its ardent undercurrent accentuated by shifts between major and minor. The cello takes up the theme, and the material undulates and grows, eventually building towards a passionate climax after which delicate piano writing leads us into the gentle final bars. As with the second movement, the finale features strong contrasts between the lively and the lyrical; and, as there, Rachmaninov seems most comfortable with the latter. 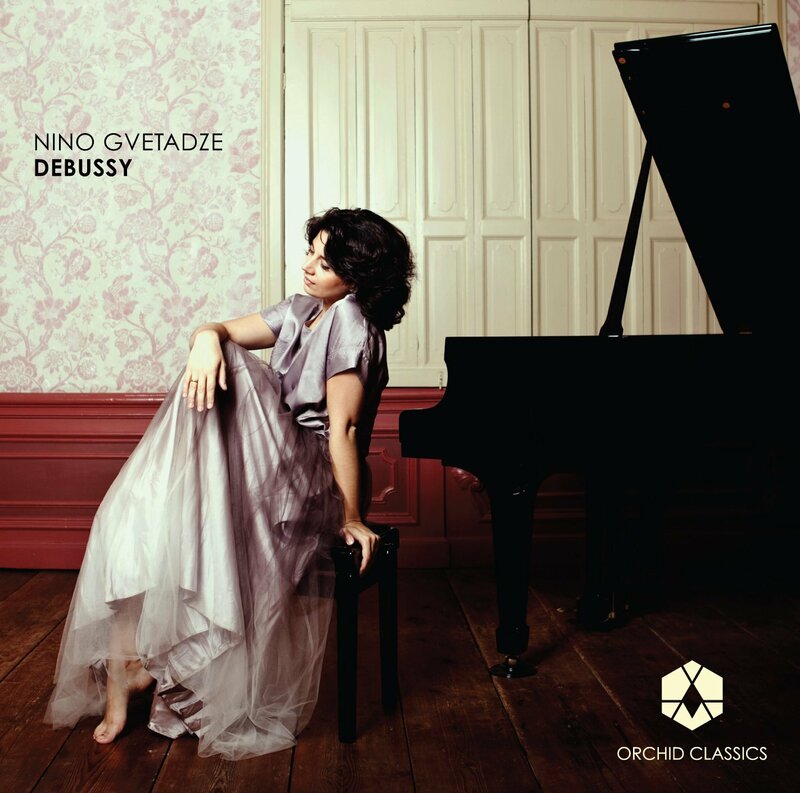 There are striking colouristic effects to be enjoyed in a dazzling array of sonorities from the piano, sometimes in counterpoint with the cello’s flowing lines. Rachmaninov ties the whole work together by alluding to the first movement, and to the six-note idea first articulated there. We enjoy one last moment of yearning romance before a swift and brilliant conclusion.